What an evening yesterday. 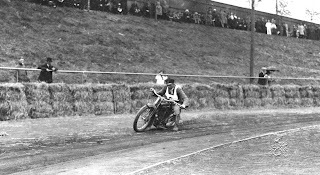 Visiting the son of another Norwegian twenties Motorcycle racer, scanning pics when listening to stories told from father to son. 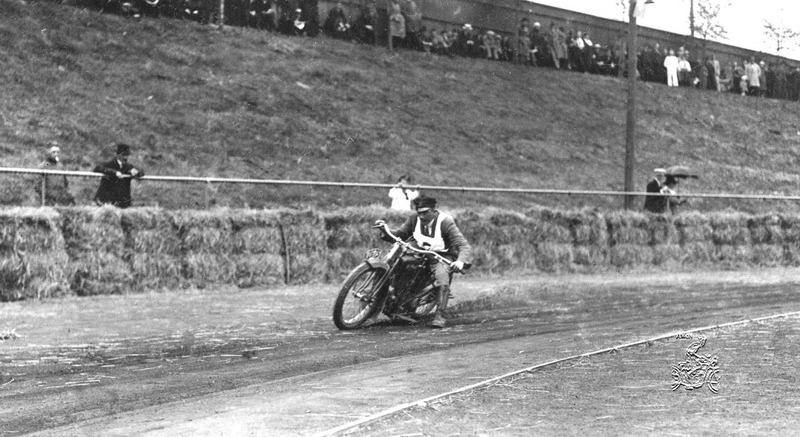 Its like being there, somehow looking into what life was like then when you where a motorcycle speed freak in the early days of motoring. Even more cool to see pics related to those whom albums I have already been trough in other homes. It appears certain events have been more captured than others. OK, here is one great shot from yesterdays scanning, not showing the owner of the albums but one of his NMK friends Macke Nickolaysen in action with one of his many Reading Standards. Macke must have been one of few using the RS brand bikes for competition, I find this mean they where not as bad as their reputation tells today? Look forward to more pics from yesterdaze.